Update your bathroom with this trendy marble bath set. 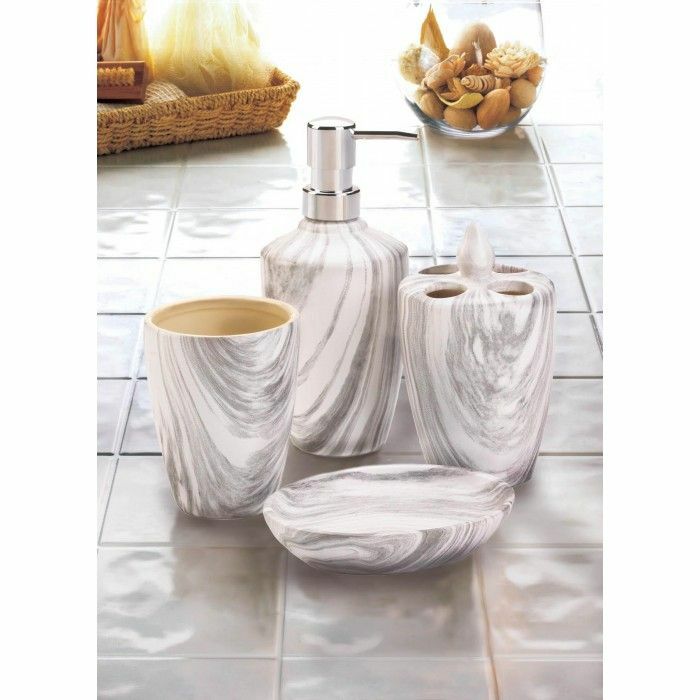 The four-piece set includes a porcelain soap dispenser, soap dish, toothbrush holder and cup in a grey marble finish. Functional and chic, this complete bathroom set will give any bathroom a quick style upgrade.